On April 23 – 25, Queen Anne’s County is sponsoring a Countywide Roadside Clean Up Event. 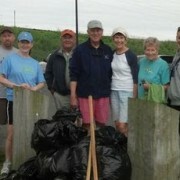 Email Judy Wink, jwink@bayrestoration.org if you’d like to join a CBEC team on April 23rd from 9-12pm. If you’d like to participate on another day, sign up at Public Works, Finance Office, Planning & Zoning, Kent Island and Centreville Libraries and the Chesapeake Heritage and Visitor Center. Free gloves, vests, recycling and trash bags provided at sign up locations. For more information email CleanUp@qac.org or call 410-758-0920. Informational flyer: April 2016 Clean Up Event Flyer. April 18 thru 22 – watch helpful Earth Day hints and tips videos from the Kennard Elementary Environmental Club and the Chesapeake Bay Environmental Center. Videos will air daily on QAC TV and County Facebook pages. 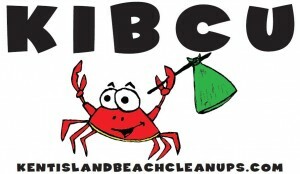 To RSVP, visit http://www.kentislandbeachcleanups.com/. CBEC staff and volunteers support KIBCU! All cleanups are scheduled for 3 hours on a Saturday starting at 8:00 am. Please so kindly RSVP to the cleanups via KIBCU “contact us” page or on KIBCU’s Facebook page. View calendar below for additional information on cleanups and other community events! SUPPLIES: We will provide all of our volunteers with cleanup supplies (gloves, buckets, trash bags, few pickers, etc) and a light snack. We will NO LONGER offer bottled water as this goes against our beliefs of consuming and using less single-use plastic. Please bring a reusable water bottle and we will have water available for you to refill your bottle. MAY 21ST – KENT ISLAND DAY PARADE!